Well we knew it was coming, didn’t we? 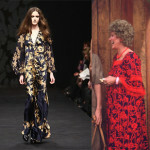 The end of the decade is drawing near and after several years of 80s inspired styles all over the runways and in stores, fashion is now setting its sights on the 70s. 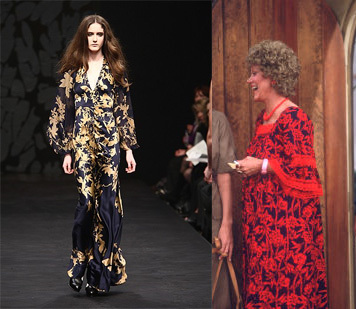 Ossie Clark showed a collection in London that would certainly make Mrs. Roper, of the 70s hit show “Three’s Company,” swoon. Happily, the pieces are, for the most part, still wearable – not costumey. Hmmm, it’s going to be great without all the polyester this time around.